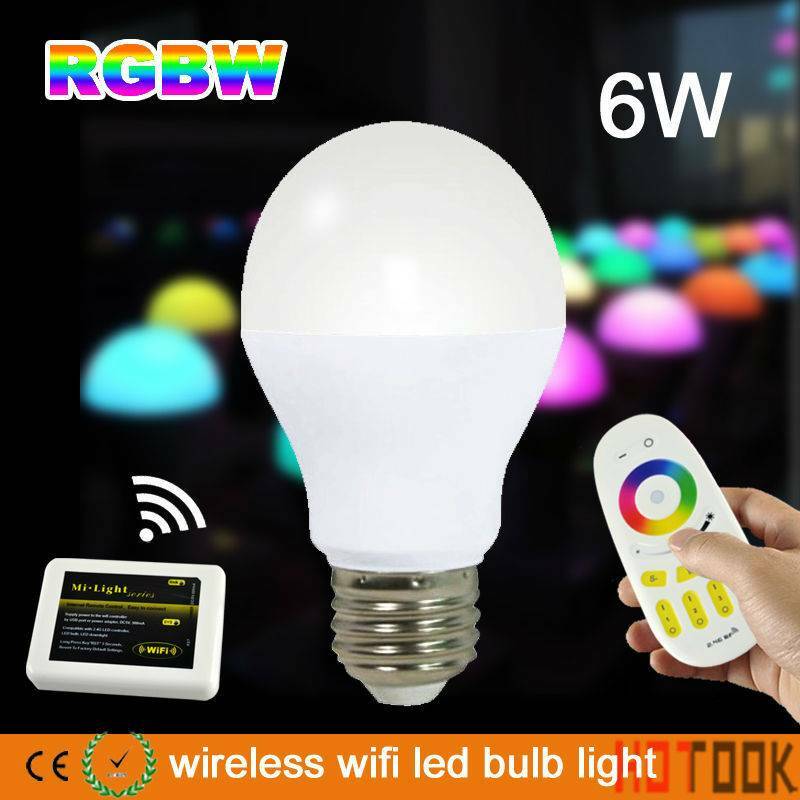 This multicolored RGBWW Wifi LED Lamp is very versatile and perfect for every situation. 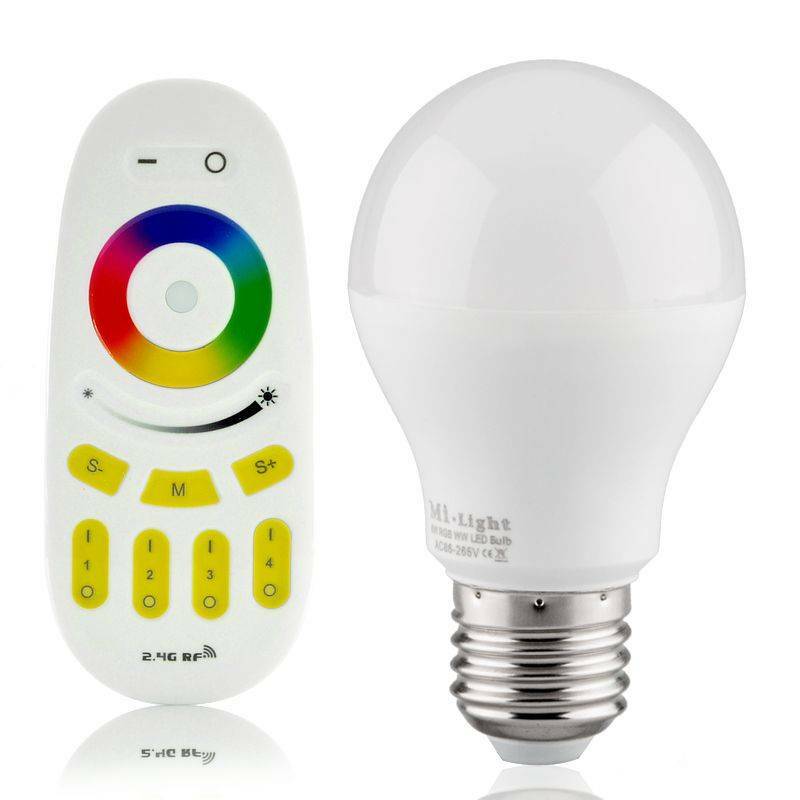 The WiFi LED Lamp can be controlled on your smartphone or tablet, or with a regular remote. 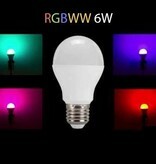 The lamp contains RGBWW LEDs: This means that the lamp can produce any color, including warm white! The lamp is also dimmable. Various options are available, such as color fade, strobe, and night light. 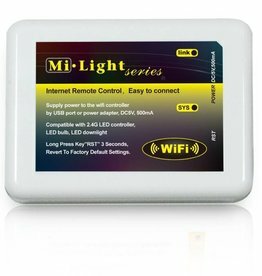 An extra advantage of this WiFi LED Lamp is that you can control it together with your LED strips, on the same remote or via the same app on your mobile device! The lamp is compatible with our RGBW 4 Zone remote , which is also used for our LED Strips. 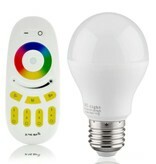 Note: if you only want to control the WiFi LED lamp, you only need the remote. Order it separately on the RGBW 4 Zone Remote product page, by choosing "Extra remote" in the dropdown menu. If you want to control the lamp via your smartphone or tablet, you need this WiFi module. 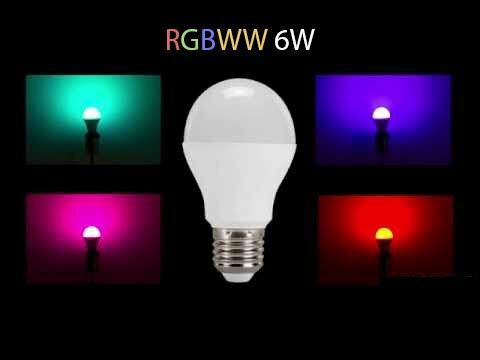 Easy expansion: it is very easy to control multiple WiFi RGB LED Lamps and LED Strips from one remote or in the same application on your smartphone / tablet. LED Lamps are very energy-efficient and will provide you with many hours of light. This WiFi RGBWW LED Lamp consumes only 6 Watts of power and lasts up to 50.000 hours! The lamp uses only a fraction of the power that a comparable halogen light source would use. A comparable halogen-lamp would need about 50 Watts of power to produce the same amount of light. That's 44 Watts more than this LED Lamp. Because electricity prices vary throughout the world, we will use the average price in the UK for this example, which is about £0.15 (€0.17) per kWh. With this electricity price, the yearly savings amount to £14.45 or €16,38 per lamp per year. The average lifespan of this LED lamp is 50.000 hours, compared to 1.000 hours for a halogen lamp. Changing your lamps regularly is therefore a thing of the past! This especially comes in handy when lamps are in hard-to-reach places. The example above assumed the lamps were lit 6 hours per day, or 2190 hours per year. This means that in the above situation this lamp would have a lifetime of over 20 years, saving over £289 / €327 in electricity alone! A 30 day refund-policy applies to all our products, so you will receive a full refund if the product does not live up to your expectations. The warranty period on this LED lamp is 2 years. Important: Be careful when using LED lamps in the same electricity group as older TL or PL lamps. Especially the older types or lamps that are near their end-of-life will emit a voltage peak throughout the electric wiring when they are switched on. These peaks will damage your LED lamps and ultimately burn them out! We recommend only using newer TL/PL lamps with electronic ballasts. This is a very versatile RGB Controller for professional or home use. With just one remote you have total control over your RGB LED Strip lighting. You can control any of the 4 zones separately.